With a neat, tailored form with a bit of a swirl but no ruffling to confuse the classic iris shape and ‘interesting’ colouring, this iris is always an attention-getter. It is a bit of an old lady now, having been introduced by the French company Cayeux in 1978, but ‘Provencal’ is so distinctive and such a good grower that it is quite common and is a regular sight in Chelsea Flower Show show gardens. 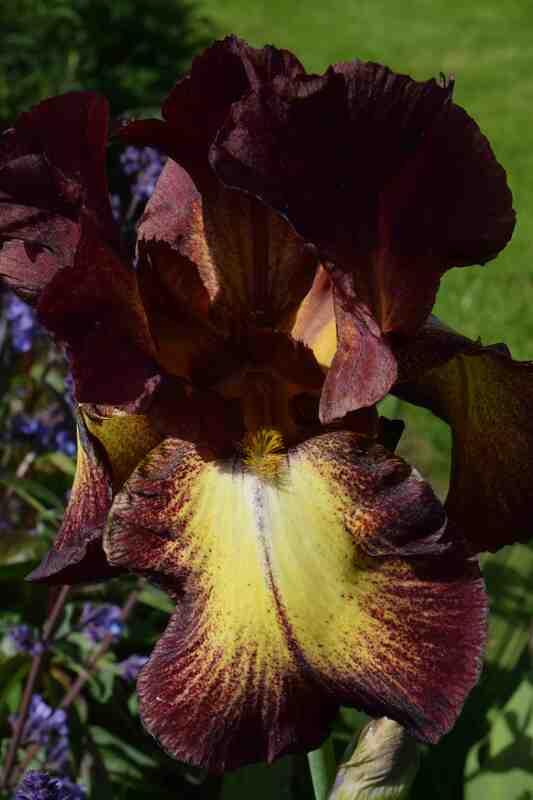 It grows to about 85cm high and the flowers are a colourful combination of yellow, edged with burgundy. 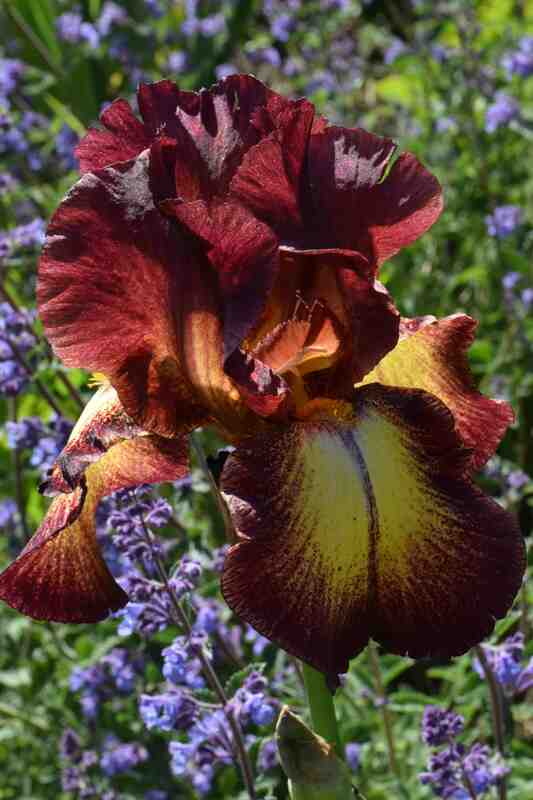 There are similar iris (such as its parent, the Schreiner ‘Highlife’) but I think that part of the success of this iris is the name which is easy to remember and seems somehow appropriate, suggesting terracotta earth and sunshine. I always get attracted to the more ‘fiddly’ coloured iris which are not always showy in the garden but this one walks the line between having individually interesting blooms and making a good show in the garden. The gently waved but basically hanging falls make it more showy from a distance than the horizontal falls much in favour now.